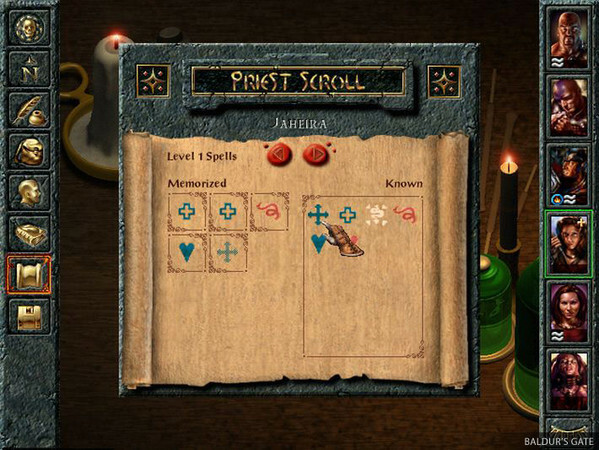 Baldur’s Gate The Original Saga is a strategy game based on fantasy world. It was developed under the banner of BioWare. It was released in 1998 and was published by Interplay Entertainment. It was the first game in its series. 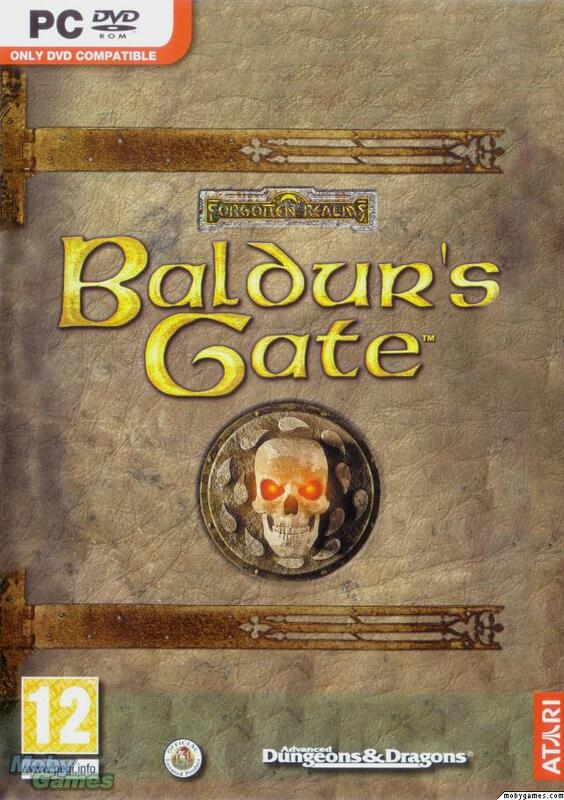 Includes the Original Baldur’s Gate and its Expansion Tales of the Sword Coast. Chaos threatens to overwhelm the Sword Coast. 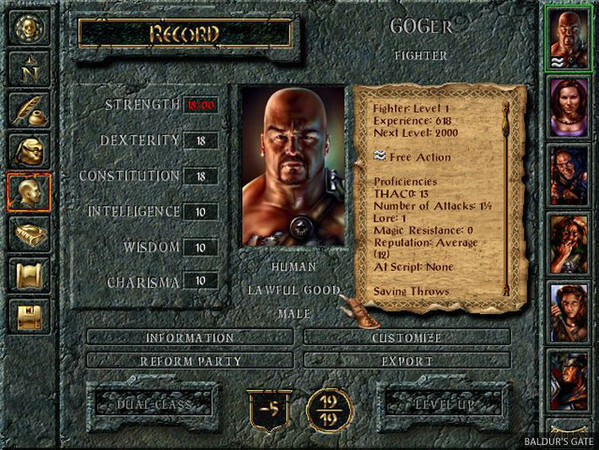 The state of Amn is under siege to the south, the High Moor is being overrun in the north and the region around Baldur’s Gate is in turmoil. In an area known for its ample resources, a crippling shortage is slowly developing for the metal that is used throughout the Realms for everything from swords to forks – iron. 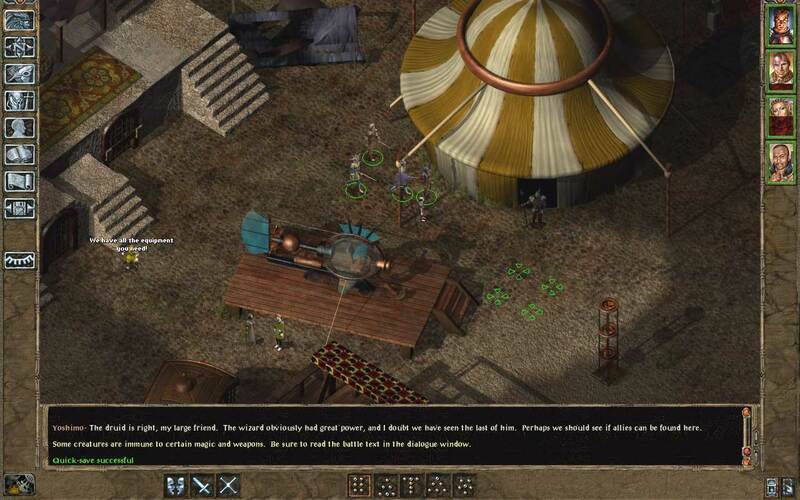 What’s worse, trading caravans coming from all directions into Baldur’s Gate are under constant attack from bandits and cutthroats who loot not for gold and gems but for iron. 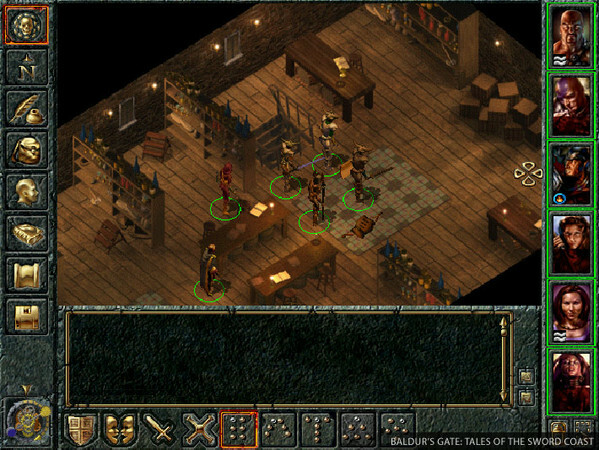 The armed factions in Baldur’s Gate can scarcely keep themselves armed and the commoners are suffering all the more. Without iron they cannot mend their tools or purchase plows – and everyone knows that if they cannot farm or craft, they will starve come winter… Enthralling story, vast and rich open world, and classic Dungeons and Dragons rules and Forgotten Realms setting make this title a must-have in every self-respecting cRPG fan collection! 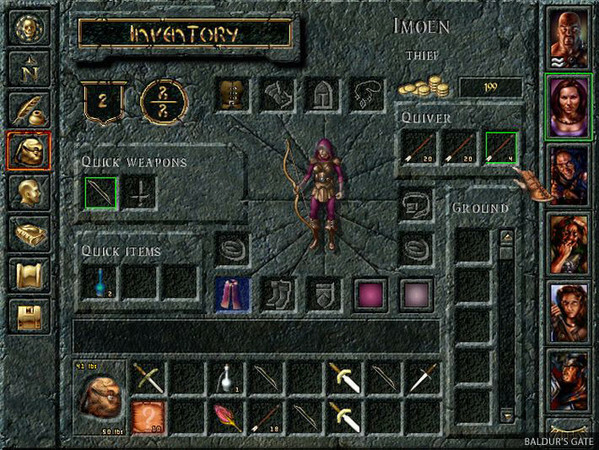 For enhanced gameplay in your GOG.com edition of Baldur’s Gate please follow this modding guide. Operating System: Windows XP or Windows Vista Processor: 1 GHz Processor (1.4 GHz recommended) Memory: 256MB RAM (512 recommended) Graphics: 3D graphics card compatible with DirectX 7 (compatible with DirectX 9 recommended) DirectX: DirectX 7 (compatible with DirectX 9 recommended) Hard Drive: 2GB Sound Card: Yes Additional Notes: Mouse, Keyboard. Thanks for granting my game request.